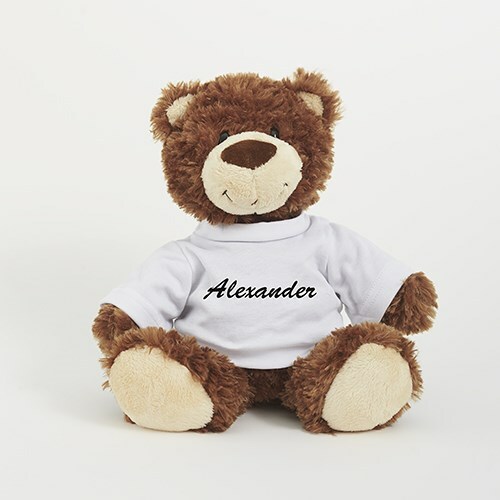 Our Personalized Any Name Smiles Bear makes a unique gift idea for anyone on your shopping list. Our Smiles bear is a super soft, squishy bear is made of soft mink touch plush with black bead eyes and an embroidered smiles that just beg to go along with you. We will personalize your bear with any name, font and text color to make a special keepsake friend that any one will love.